Husky Liners universal fit mud flaps are available for most pickup trucks and for dually trucks. Not only will Husky Liners mud flaps help protect the side of your vehicle from rock chips, but they also help keep it clean from mud and tar. These mud flaps also have stainless steel inserts that make your truck look great. Husky Liners plastic mud flaps are great looking and functional. 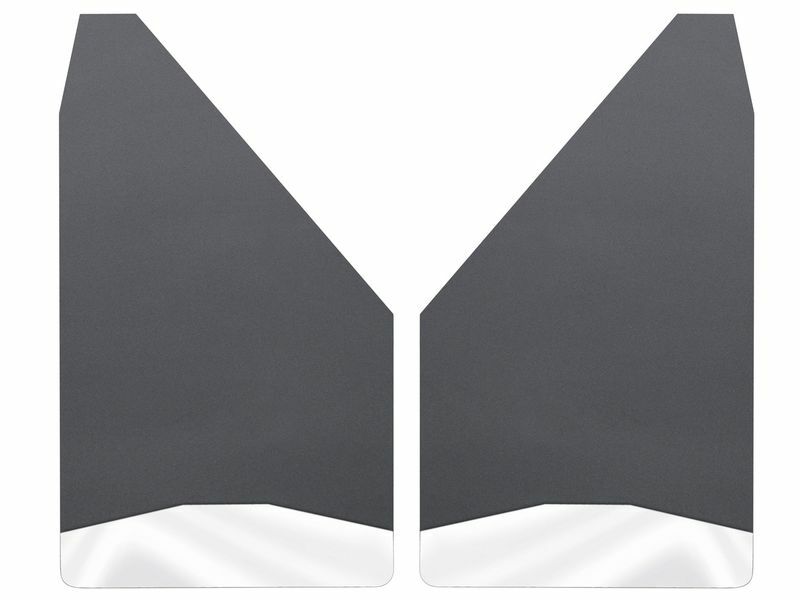 They are tougher than ordinary mud flaps with a 12 or 14 gauge stainless steel plate, depends on what mud flap you choose, is molded into the guard to add to the style and prevent flapping. Husky mud guards can be installed quickly and easily. All the hardware needed for mounting comes included. You shouldn't have any problem getting these installed without the assistance of a professional. So if you are looking for a mudguard that is highly durable, looks great, and is made in the USA, then you have to look no more. A set of Husky Liners universal fit mud flaps is the perfect match for you! Husky Liner offers a Limited Lifetime Warranty on the Husky Universal Fit mud flaps. The Husky Liners universal fit mud flaps can be installed quickly and easily. There is some minor drilling required but nothing that requires a professional. There are installation instructions shipped with the product and they will be easy to follow along. If you have any questions or for additional information on this or any other Husky product, please call us at 877-216-5446.